Another great European drink. In the true sense of a vodka, Samuel Willard’s Kremlin Vodka delivers clean aromatic notes of rye and wheat to compliment a wide variety of drink formulas. 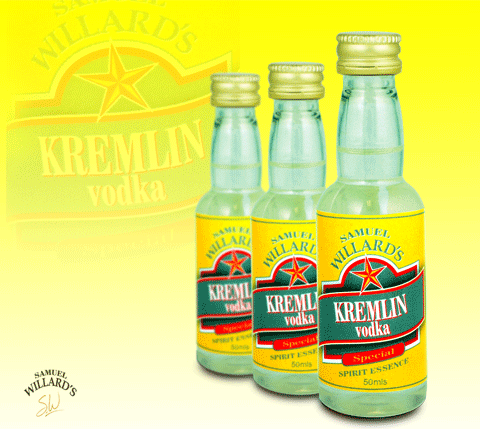 Samuel Willard’s Kremlin Vodka essence produces 2250mL of spirit from each 50mL bottle.